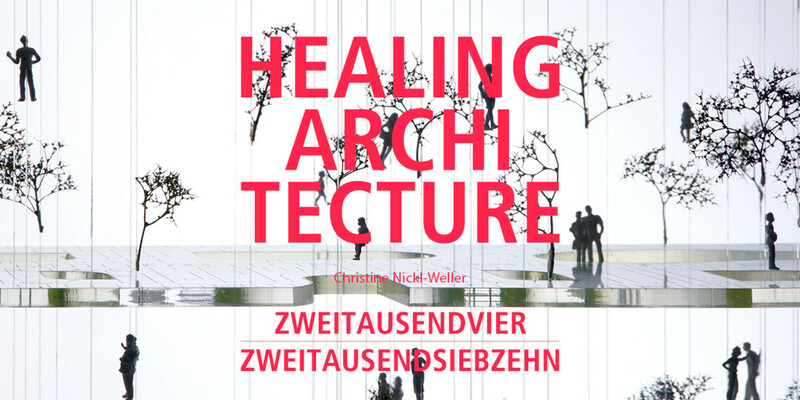 The exhibition gives insights into the teaching and research of the department "Architecture for Health" of Prof. Christine Nickl-Weller. Besides research activities, the exhibition is accompanied by selected projects from Prof. Nickl-Weller’s work in practice as well as student works. What does architecture have to do with health? Can architecture support the healing process? At Berlin University of Technology, the department "Architecture for Health" researches and teaches how architecture can influence health. Applying the variable "health" to all areas of life is the focus of the department’s teaching and research work. The term “Healing Architecture” represents the courage to think outside the box, to explore and to go beyond conventional conceptions of architecture. From: Healing Architecture 2004-2017.